Warsaw, 23 September 2015 – Human Rights House Network has highlighted the growing intimidation and persecution of human rights lawyers, and made the case for strengthening the protection they receive, in its report Human Rights Lawyers at Risk: Making the Case for Protection of Legal Professionals in Azerbaijan, Belarus, Moldova, Russia, and Ukraine. The report draws on the knowledge of the Human Rights House Network and the expertise and experiences of alumni from the International Law in Advocacy (ILIA) programme. It is both an opposition to the repression of human rights lawyers and a push for better protection under guarantees and immunities. 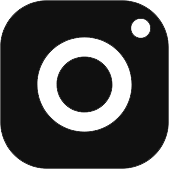 The report outlines the persecution of prominent human rights lawyers in Azerbaijan, Belarus, Moldova, Russia, and Ukraine, and the grave consequences this has had for them and their clients’ access to human rights protection. The work of human rights lawyers is no longer efficient and safe; the principle of confidentiality is violated; the right of a client to protection is impeded; and trust in human rights instruments and the international courts will be diminished. The report details specific cases of repression against human rights lawyers, such as against Intigam Aliyev in Azerbaijan, a prominent human rights lawyer and founder of the Legal Educational Society. He has now been sentenced to seven and a half years in prison on groundless charges. He had previously been excluded from the Bar Association and been the subject of various types of bureaucratic and legal harassment. When detained, Aliyev represented many cases to the European Court of Human Rights. The charges were aimed at silencing him and depriving Azerbaijani citizens of their right to appeal and seek justice before the court. human rights lawyers to have the same level of access as other lawyers to their clients, and for them to have the same confidentiality of communications. 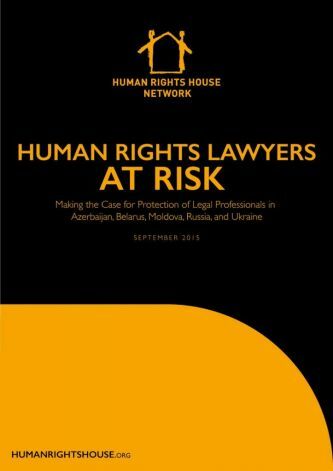 The report Human Rights Lawyers at Risk: Making the Case for Protection of Legal Professionals in Azerbaijan, Belarus, Moldova, Russia, and Ukraine was launched in Warsaw 23 September 2015.
member organizations of the Human Rights House Network.